By now, most fans of Orange Is the New Black are aware of the show's impending demise. Set to release in 2019, Netflix has officially announced that the show's upcoming seventh season will serve as its last. The move makes sense, given how season 6 concluded with Piper's release from behind bars. 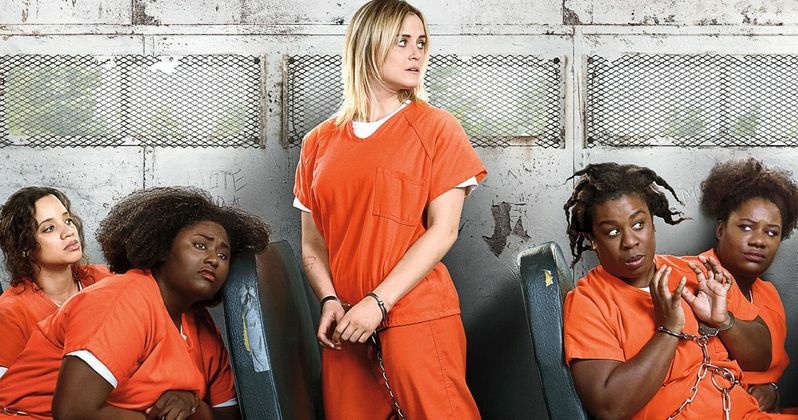 Still, it seems that the producers are no more willing to say goodbye to Litchfield than the fans of the show, as the series remains very popular after six seasons. Now, ahead of the final season's release, Lionsgate Television producers are already discussing how to potentially continue the story in a new sequel series. Lionsgate TV Group chariman Kevin Beggs confirmed to reporters this week that talks have begun for an Orange Is the New Black continuation. Very proud of the work put into the hit series, Beggs says that discussions have begun on where to take the story next. Nothing has been decided yet as these are just preliminary talks at the moment. They're likely discussing possible ideas for new creative directions, and are waiting for the right idea to come along. Beggs adds that series creator Jenji Kohan will be brought into the fold to contribute her own ideas once the time feels right to do so. "We're really proud of the long run that Orange Is the New Black had. It remains one of Netflix's most-watched shows. We're ending on a high note. Keep in mind we own that series and will be distributing it for years to come. We're already in discussions and, when the timing is right, we'll talk further with Jenji about a potential sequel." It's wise to conclude the series, at least for now, before it manages to get repetitive. The Walking Dead has taken a huge nosedive in viewership in recent seasons, despite being by far the most popular show on television not so long ago. Knowing when to stop is something not every series knows how to do, despite how good it might seem to be. As such a big hit for Netflix, it's easy to see why producers are already mulling over how to keep the story moving in some kind of follow-up series. In any case, taking a break from new episodes, at least for right now, seems to be the rational choice for those in charge. For Kohan's part, her relationship with Lionsgate has only gotten stronger. Before Orange Is the New Black would become a streaming hit on Netflix, Kohan had created the popular series Weeds for Lionsgate as well. Her creative input is vital for any kind of sequel show, so the concept would seem to hinge on if there's an idea good enough to sell her on. In the meantime, Kohan will focus on other projects and allow the Netflix series to conclude for now. The final episodes will hit the streaming service in 2019. There are many possibilities for a sequel or spinoff series to keep the story going. Even with Piper gone and some of the other ladies unable to return, there's always room in Litchfield for more new inmates. Or, perhaps the show will follow Piper's life on the outside, showing how she's adjusting back to reality after her stint behind bars. Maybe a sequel could follow an entirely new prison, with just a few, if any, returning cast members. For now, let's not get too far ahead of ourselves and just wait for season 7. This information comes to us from The Hollywood Reporter.